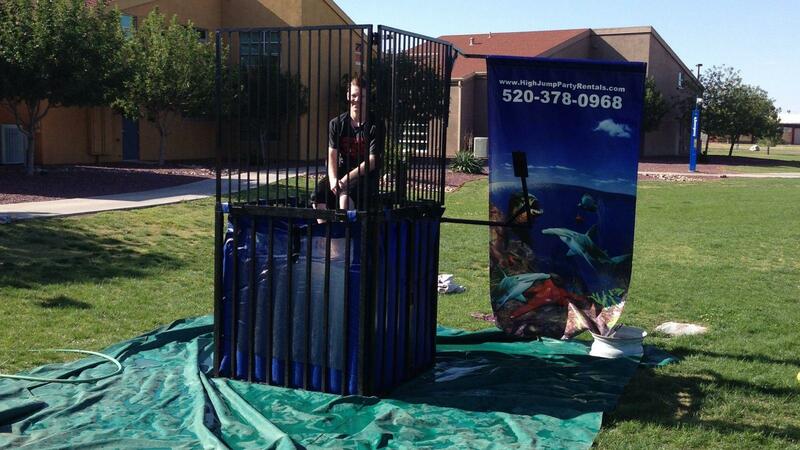 High Jump has the best Dunk Tank rental ready for School or Church group looking for a good fundraising tool, or maybe your community carnival needs a great attraction. Lets dunk the Mayor!! Or maybe the School Principle. You can even put your family or friends on the hot seat and hit the target and knock them into the water. Either way Dunk Tanks a classic crowd pleaser and our units are ready to work for you.